1. Thank you to each of you who has prayed for my dad, Dr. Max Price, who has colon cancer. His surgery went really well and I was able to be in Oklahoma City with him for a few days after his surgery. Unfortunately, the pathology report came back Tuesday that the cancer was found in several lymph nodes. He will begin chemotherapy after he recovers from the surgery. Please be in prayer for him, for peace, rest and complete healing, and for my sister, Tracey, and mom, Geri, as they care for him. 2. Praise God for a wonderful day of meetings at Sully Community Church in Sully, Iowa, last weekend and for the very generous offering which will cover the airline tickets for our move to Budapest for 4 (of the 7) of us. We are humbled and grateful for their love and generous support. 3. We are concerned about the possibility of some new tax laws in Hungary which could require that we pay anywhere from 16-60% of our income in taxes, Hungarian social security, retirement, etc. If we had to raise that much more in monthly support in order to live in Hungary, it would be very, very discouraging and challenging. 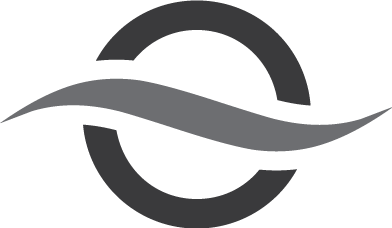 Please pray for the Hungarian government as they make laws as well as our missionary leaders as they seek to understand the laws (which is often very difficult to do as foreigners in post-Communist countries). And please pray practically that we won’t have to raise more monthly support! 4. Speaking of support, please pray for the remaining $1,500 per month we still lack in financial pledges. 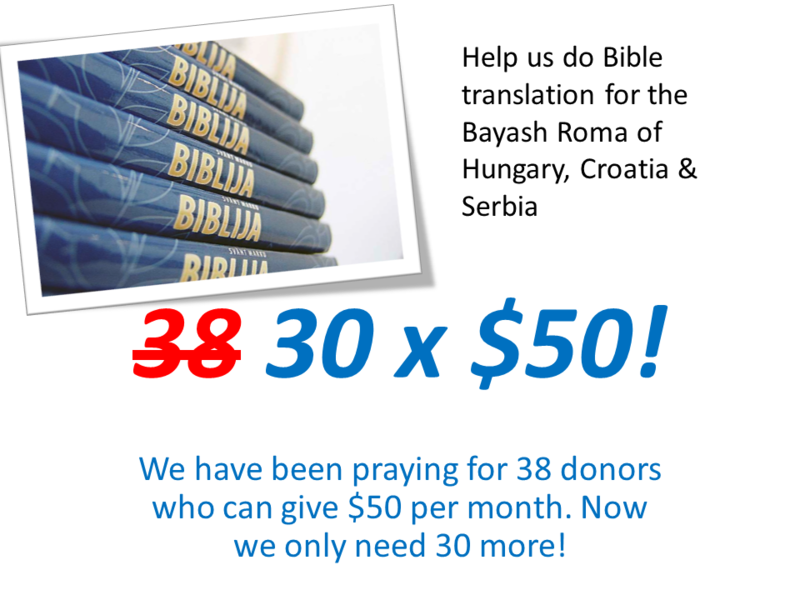 As the attached pictures mentions, we are praying for 30 more individuals, churches, Sunday school classes, or home Bible study groups, to pledge $50 per month for the ministry of Bible translation for the Roma (Gypsies). Thank you very much for your kind support, encouragement and prayers.